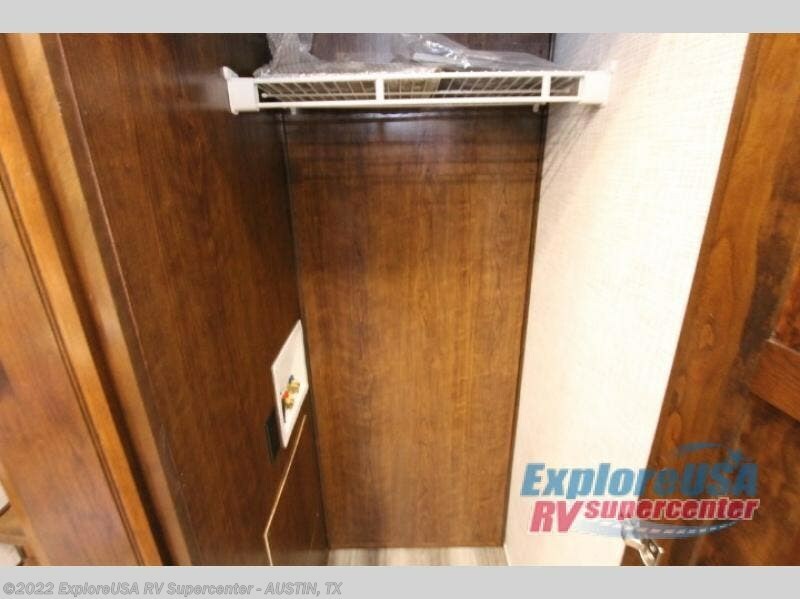 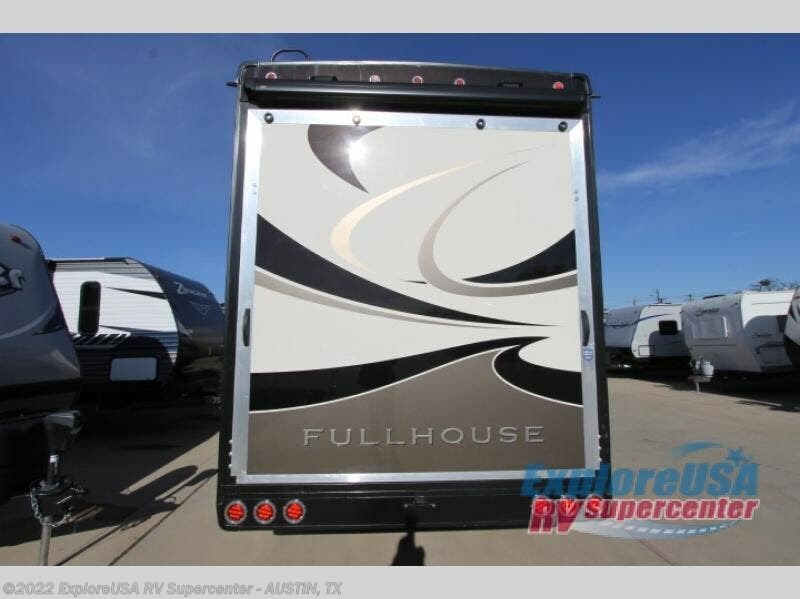 No need to return home right away when you have this DRV Luxury Suites FullHouse toy hauler fifth wheel. 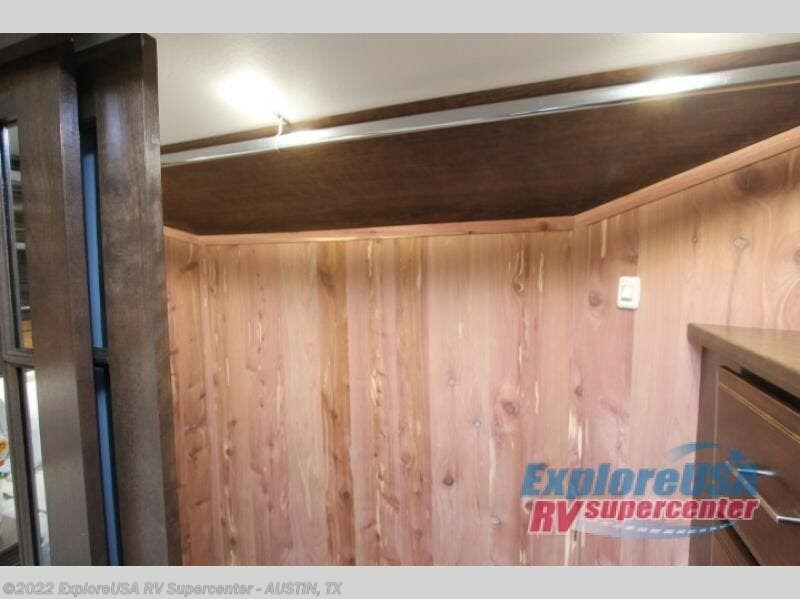 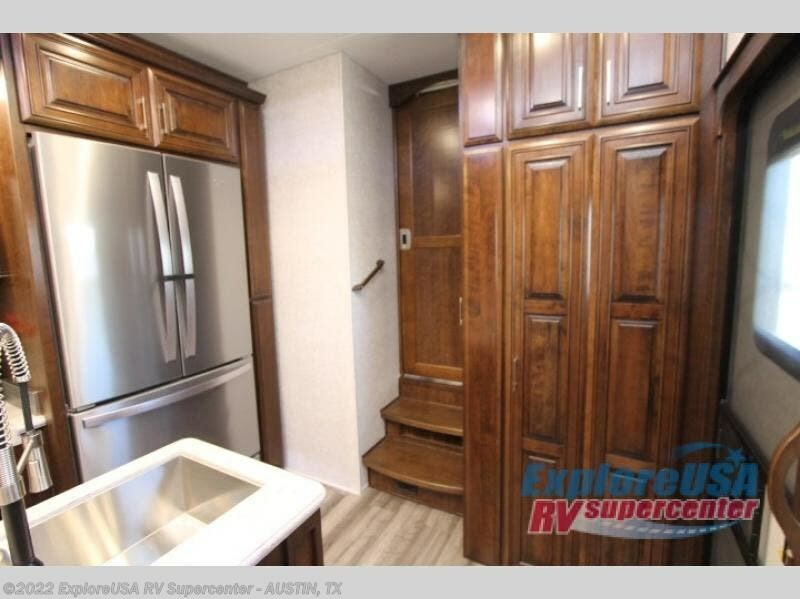 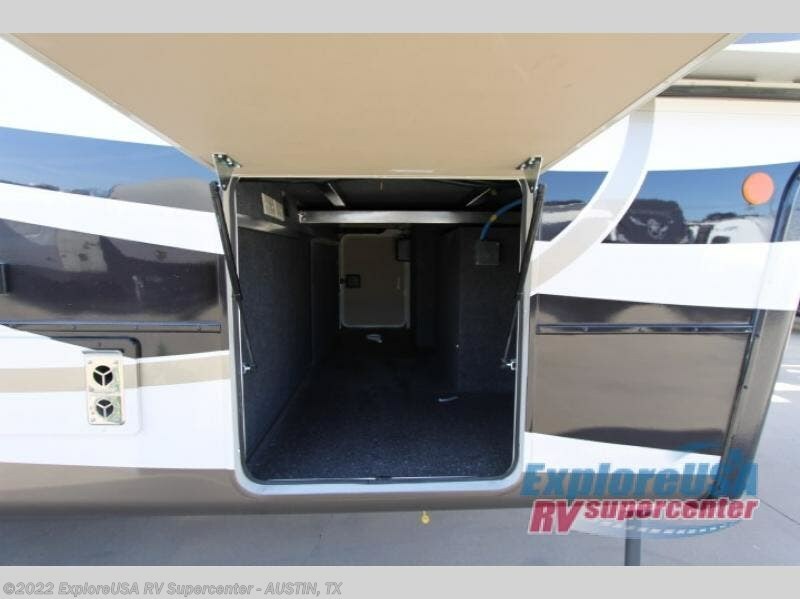 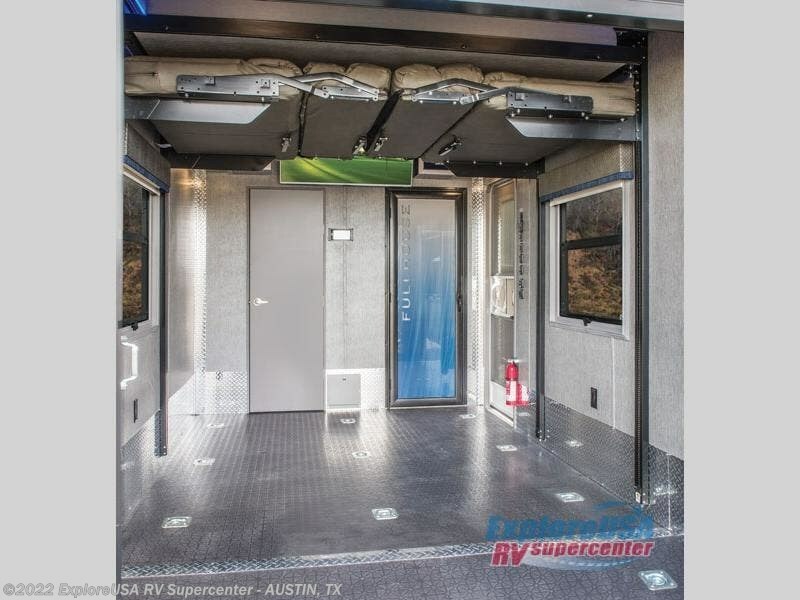 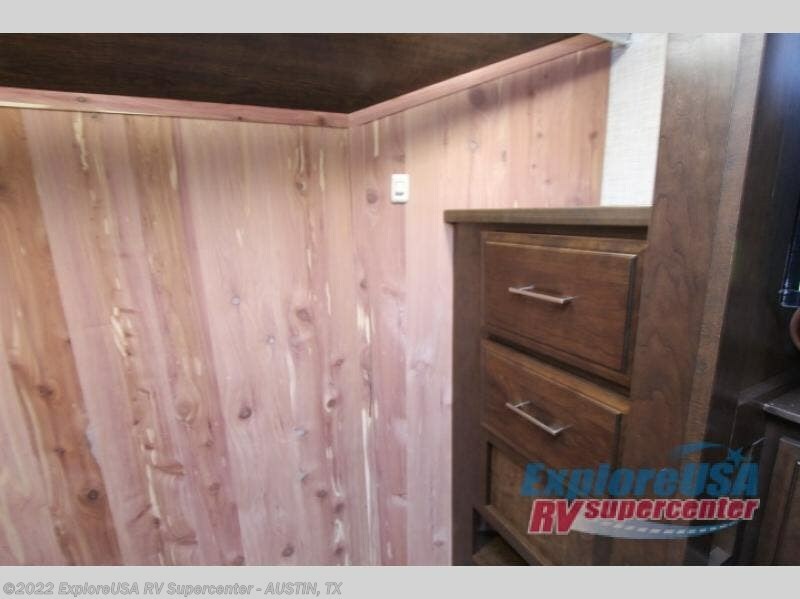 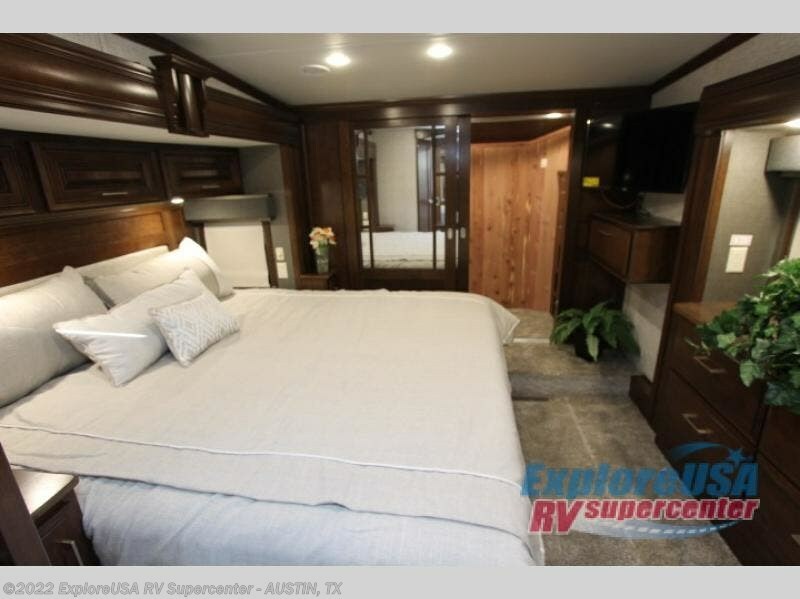 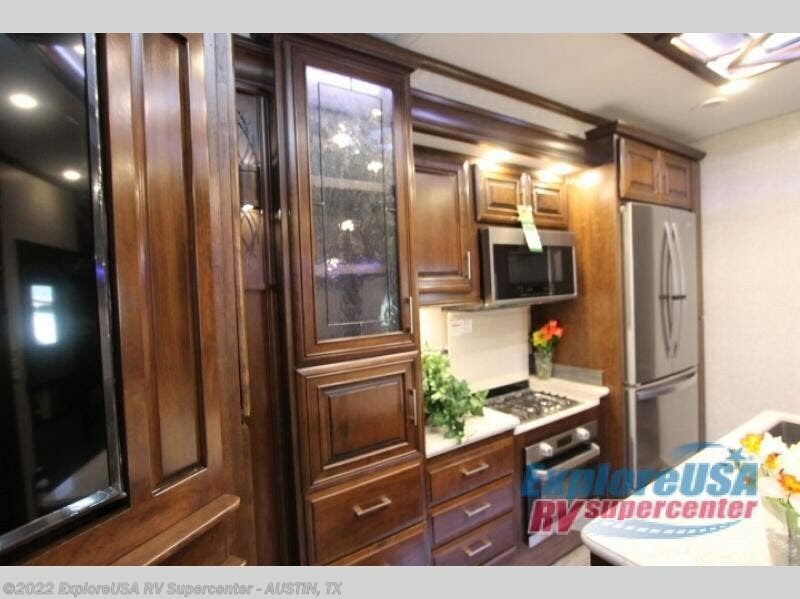 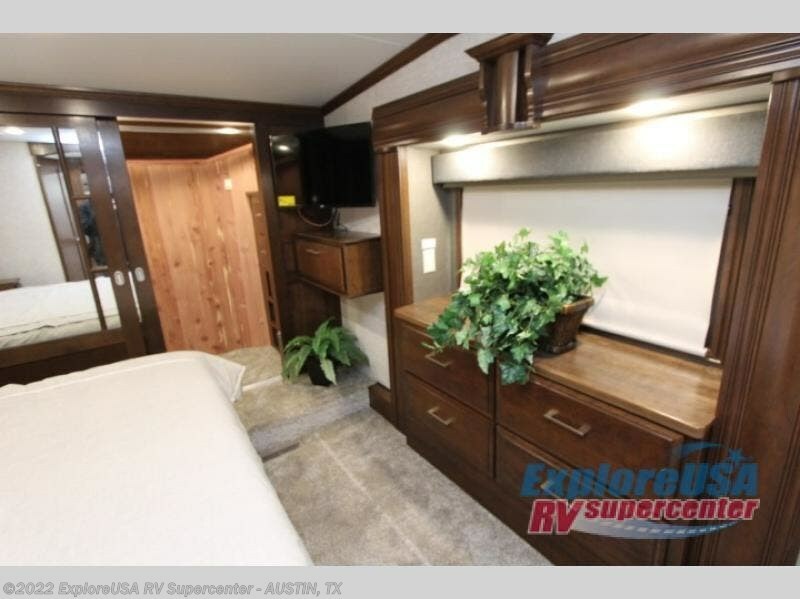 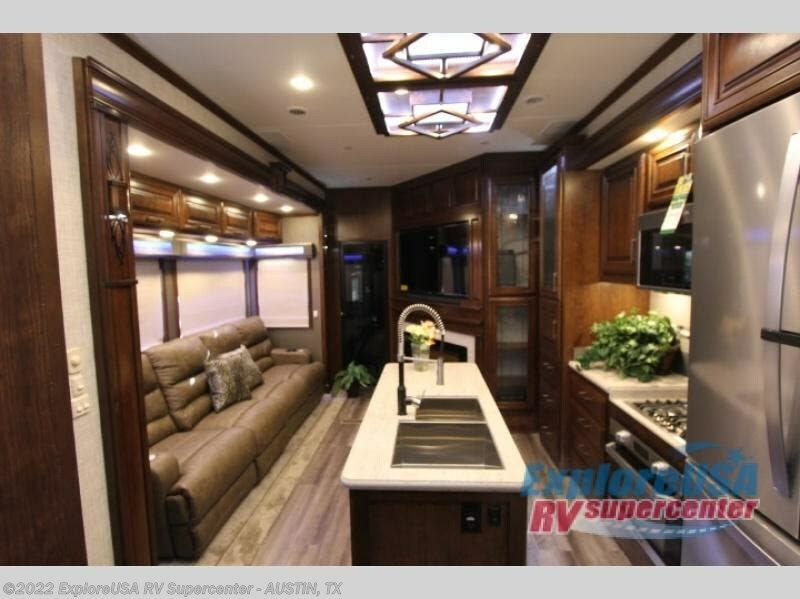 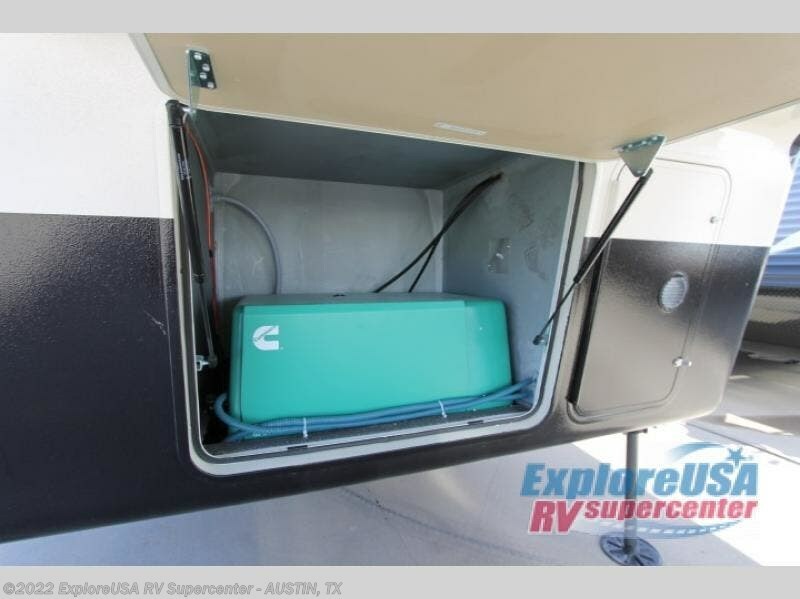 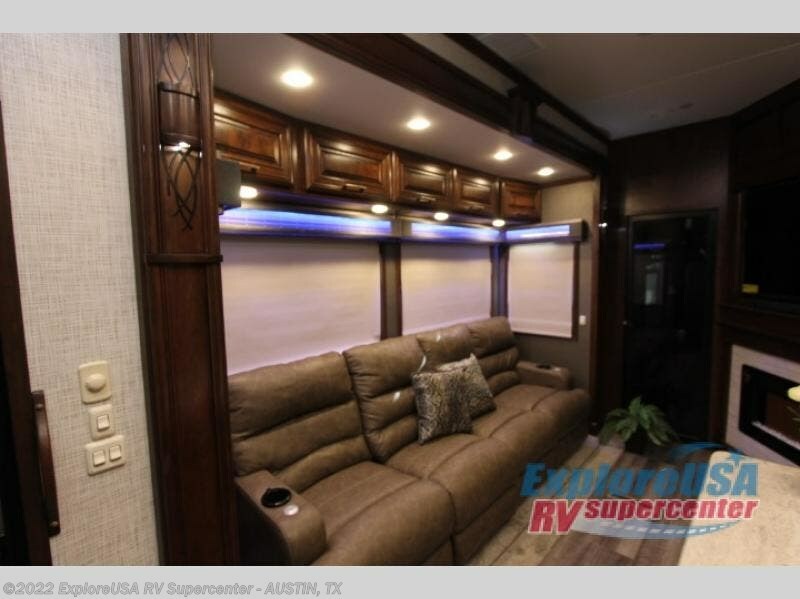 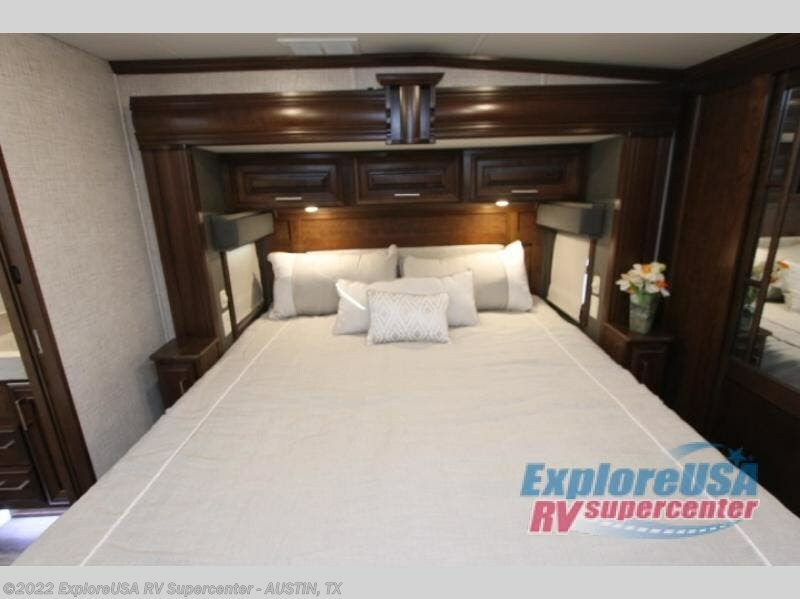 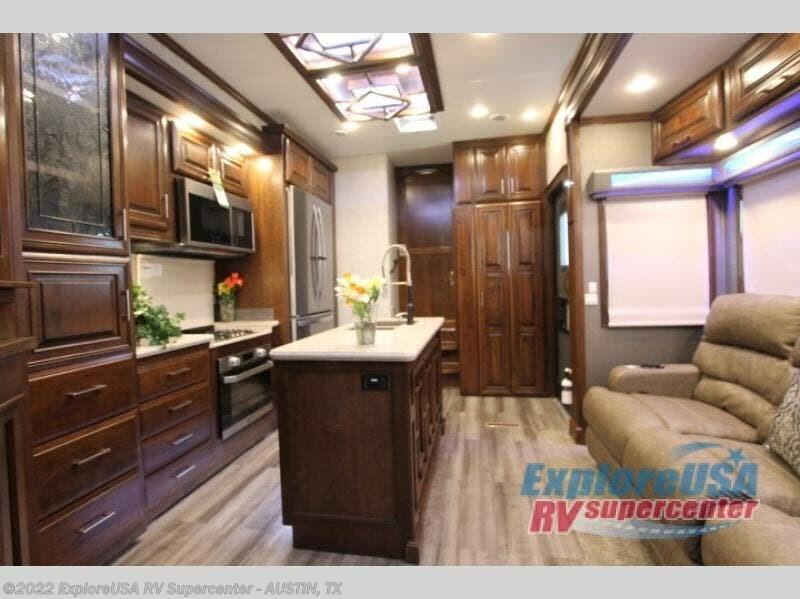 Model LX455 features quadruple slide outs which gives you plenty of space throughout for all of your belongings plus there is a 12' garage for a few dirt bikes or an ATV! 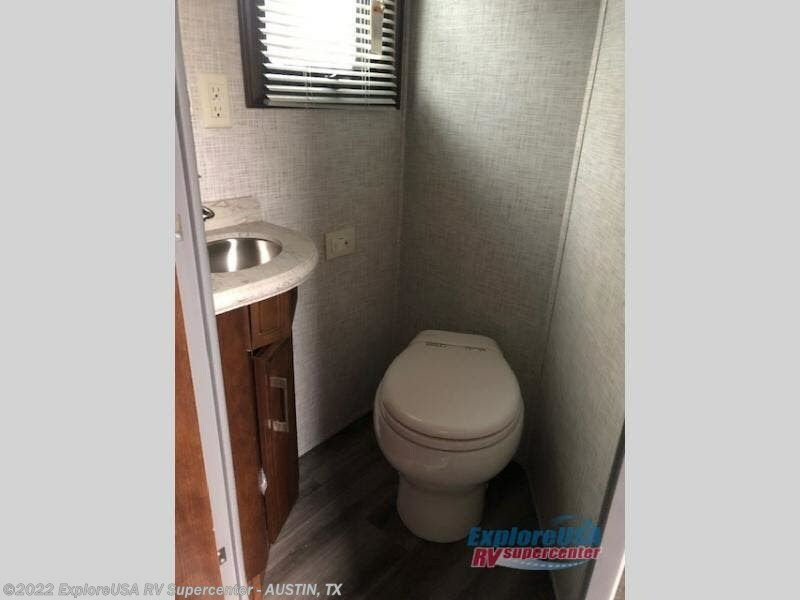 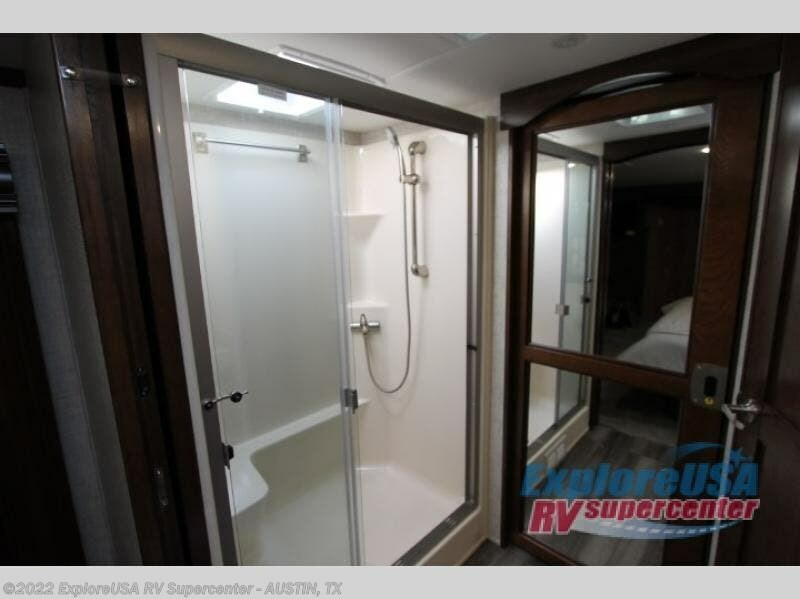 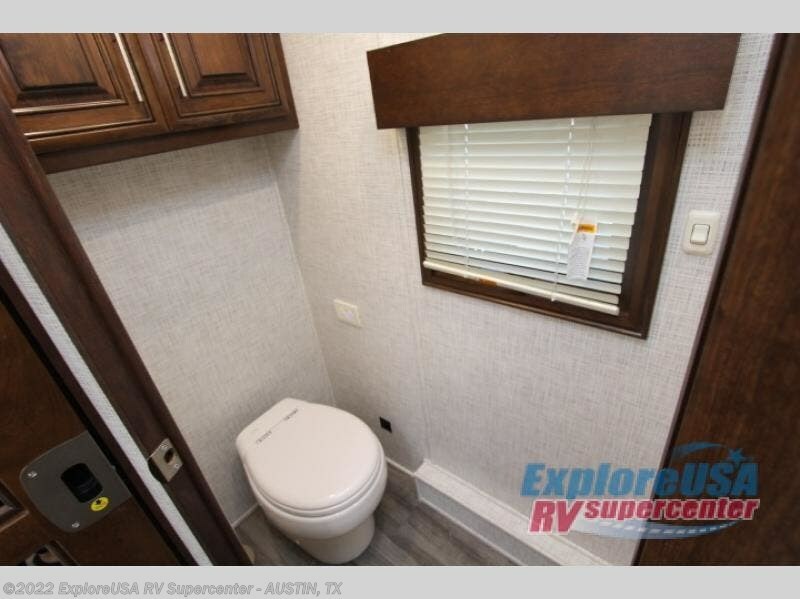 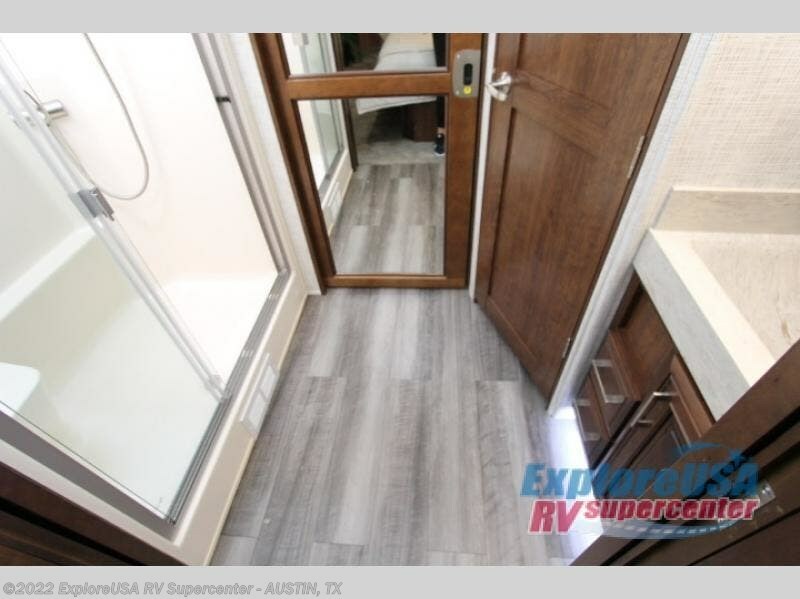 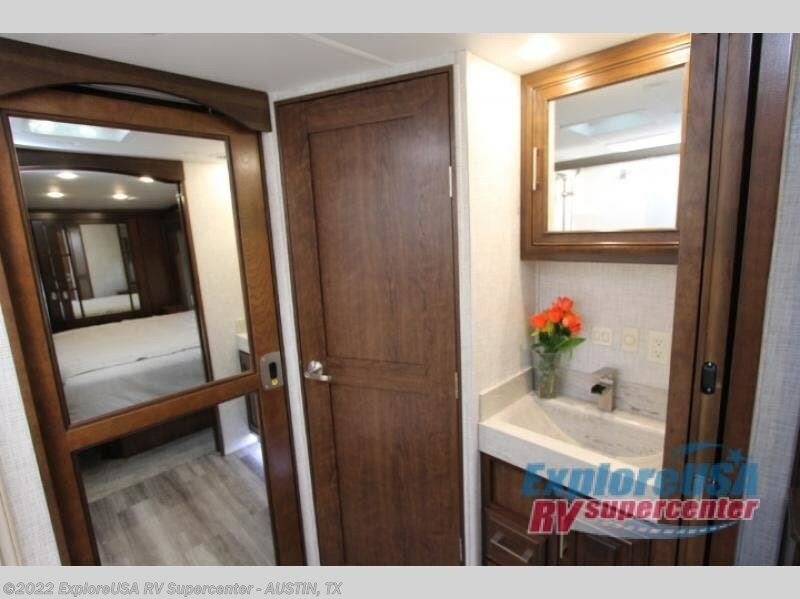 Not many models feature a bath and a half, but when you choose to camp with this model you will now have the convenience of choosing which bathroom to use! 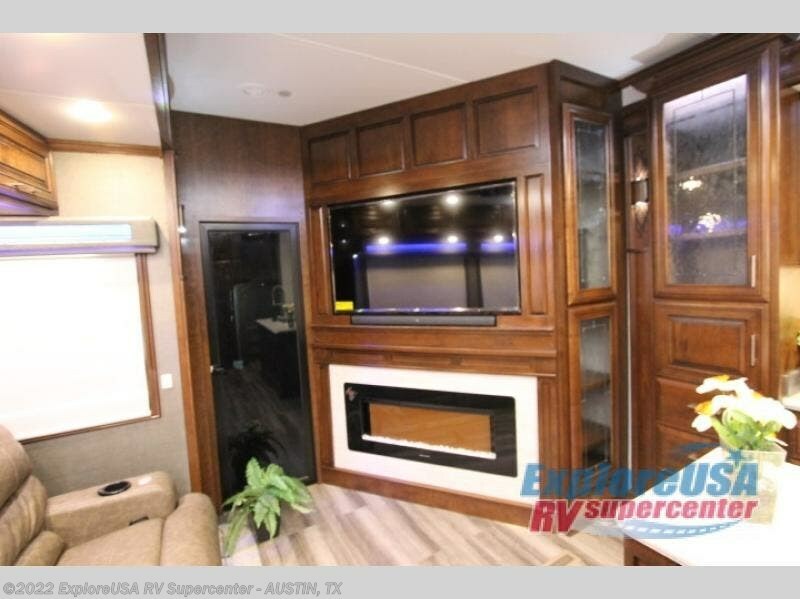 Meal prep is even easier with the island, and after dinner come relax at the theater seating while watching TV and enjoying a fire in the fireplace! 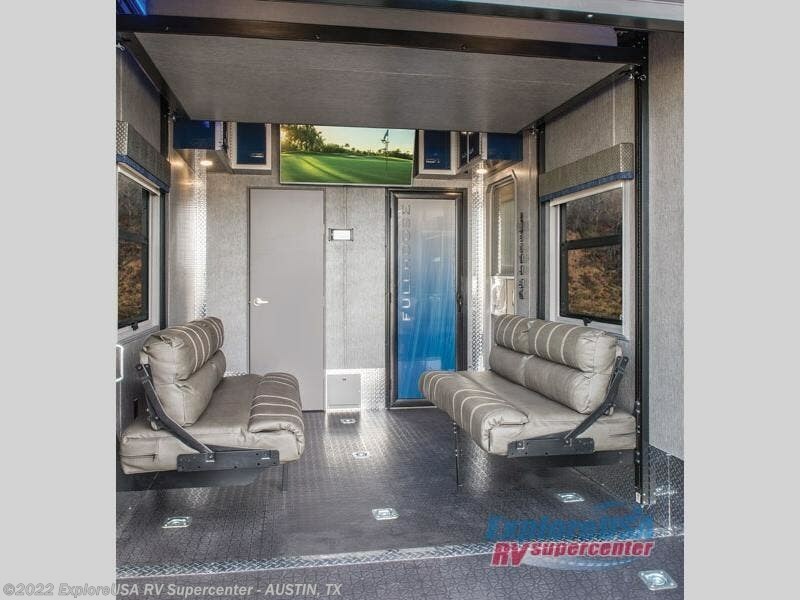 For a luxury toy hauler that is ready to go when you are then you will want a DRV Luxury Suites FullHouse! 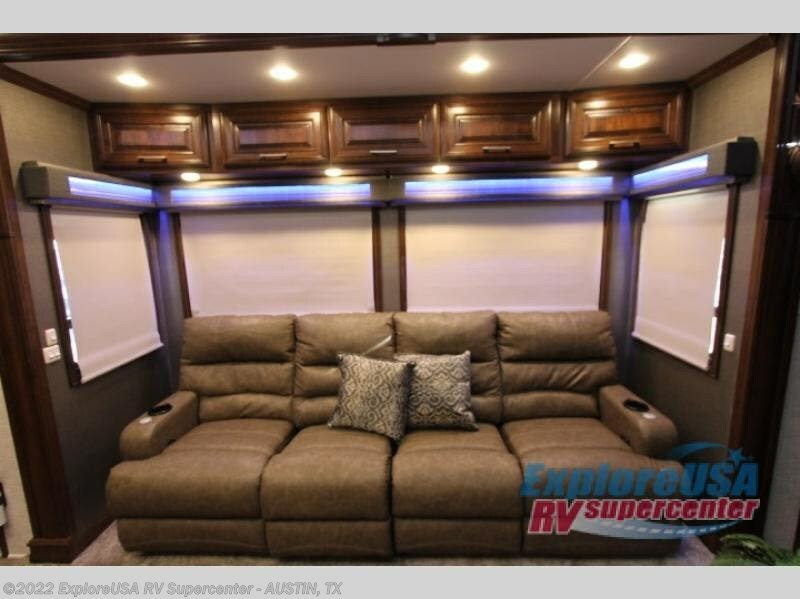 These models have a high gloss gelcoat fiberglass as well as a custom enlarged control center with LED lighting. 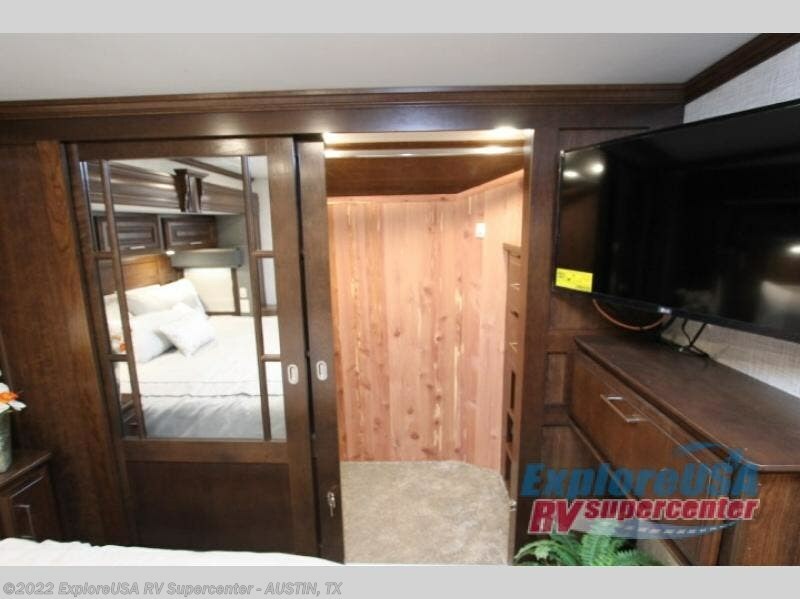 Once you step foot inside be prepared to be wowed! 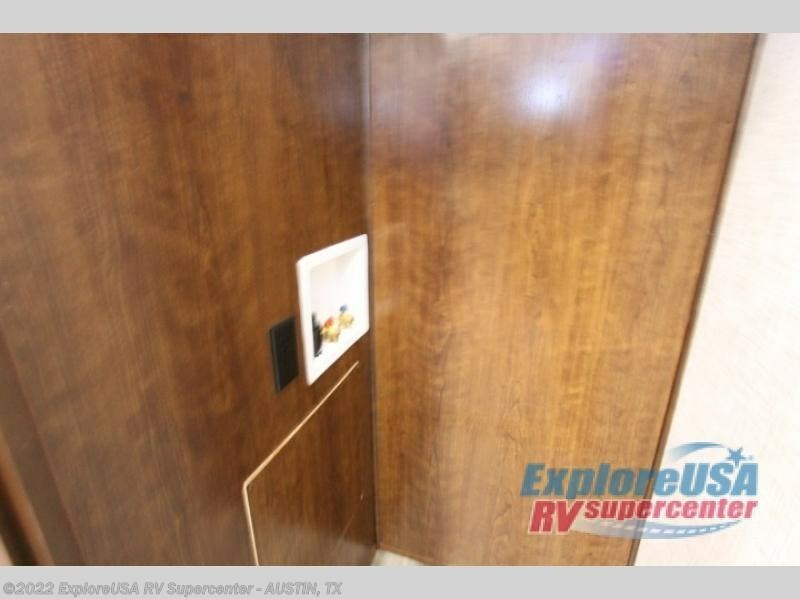 You will enjoy the plush residential high durability nylon carpet as well as the Hazelnut or Mocha Cherry solid hardwood cabinets. 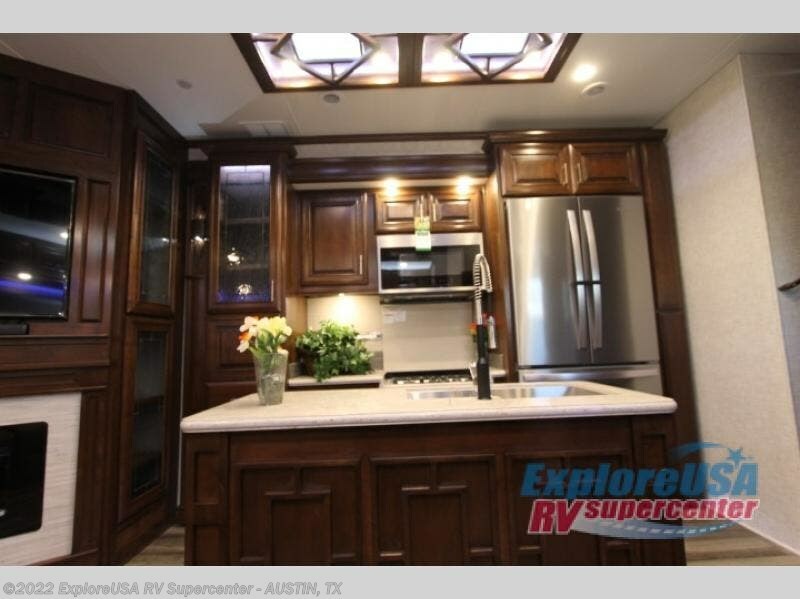 In the kitchen there is high polished solid surface countertops as well as a deep double bowl stainless steel sink with sink covers. 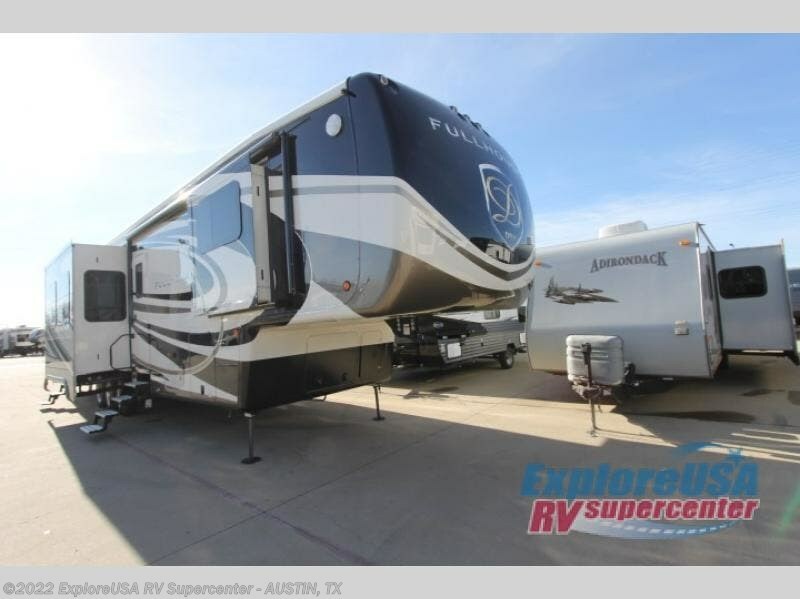 When your next vacation is calling your name, answer the call with a FullHouse DRV Luxury Suites toy hauler!